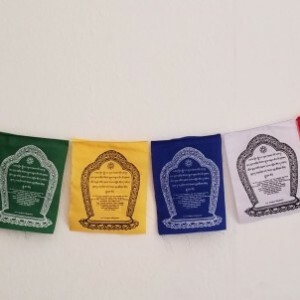 Prayer flags are not just pretty pieces of cotton colored cloth with funny writing on them. 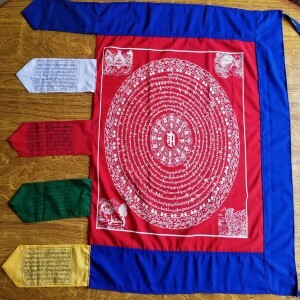 The ancient Buddhist prayers, mantras and powerful symbols displayed on them produce a spiritual vibration that is activated and carried by the wind across the countryside. 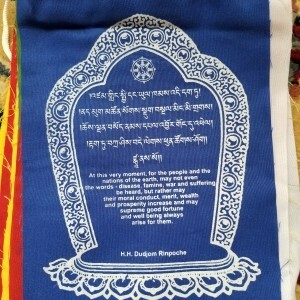 The meanings behind prayer flag texts and symbols, indeed behind the whole idea of prayer flags, are based on the most profound concepts of Tibetan Buddhist philosophy. 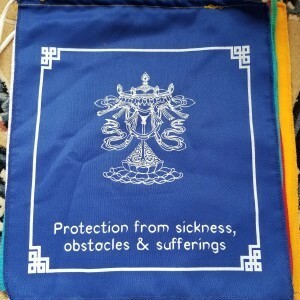 The Tibetan word for prayer flag is Dar Cho. “Dar” means to increase life, fortune, health and wealth. 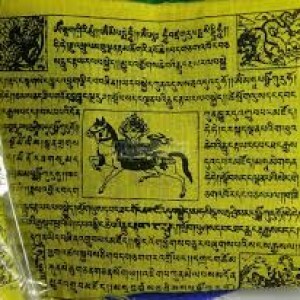 “Cho” means all sentient beings. 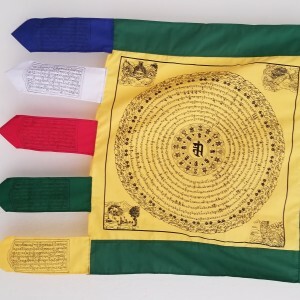 Prayer flags are simple devices that, coupled with the natural energy of the wind, quietly harmonize the environment, impartially increasing happiness and good fortune among all living beings. 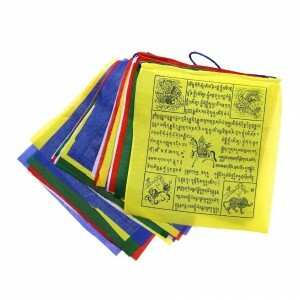 This prayer flags are available in five different images and prayer. White:- The White Umbrella for Protection. 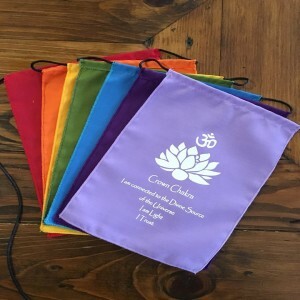 Placing prayer flags in and around one’s home or business imparts a feeling of harmony, increases the spiritual atmosphere and brings to mind the teachings of enlightenment. 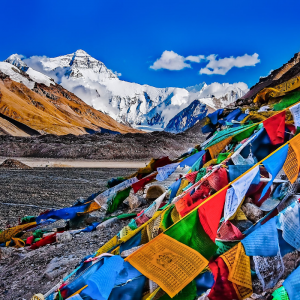 By placing prayer flags outdoors their sacred mantras are imprinted on the wind, generating peace and good wishes. 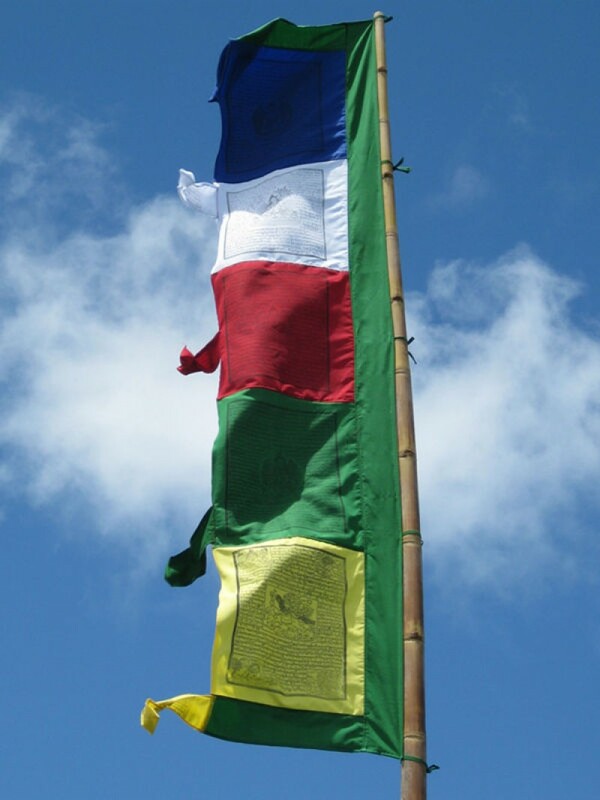 Flag measures approximately 84 inches tall and about 18 inches wide. 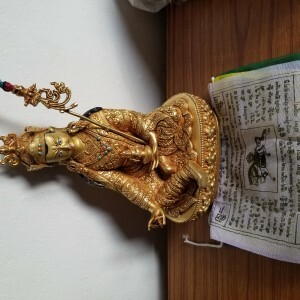 Handmade in Nepal. 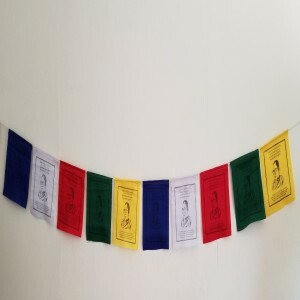 We love our vertical prayer flags. Thanks so much Pema for all your help. 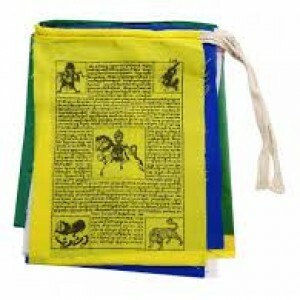 They are exactly as you described them, 100% cotton, which we wanted. 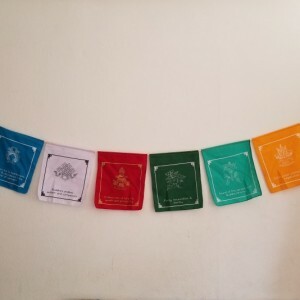 Pema was in contact with us to check we received them when expected, and even sent us through information about most auspicious times to put our flags up. So helpful, and we were really happy with your service!!! Thank you. J'aime ce drapeau parce qu'il est génial. I like this flag because it's great.